Marilyn Monroe was found dead in her bedroom on August 5th 1962 by her psychiatrist doctor Ralph Greenson. She was just 36 years old. The Los Angeles County Coroner’s Office ruled the death as “acute barbiturate poisoning” and “probable suicide”. However many people including the first police officer to arrive at the scene of the death believed she was murdered. For fifty years her death has been a subject of conjecture and conspiracy theories have been rampant. Various people have been implicated in her death from the Kennedys to the Mafia to the FBI, time of death has never properly been established and murder has never been ruled out. Who visited Marilyn the day before she died? Like many an iconic figure who have gone to their graves young, the events leading up to Marilyn’s death are as mysterious, ambiguous and unclear as Marilyn herself. Many people supposedly visited Marilyn the day before she died – Bobby Kennedy, the FBI, a “mob boss” and Frank Sinatra’s rat pack. This part of the puzzle seems to be shrouded in mystery but we know one thing – Marilyn’s close contact with the world’s most elite and powerful meant that she knew things and had information. Did somebody not trust Marilyn and want her dead? Marilyn’s housekeeper Eunice Murray was a key witness but her version of events were so diverse and inconsistent that they were deemed worthless. We know that Eunice was around the night that Marilyn died. The housekeeper originally said she had knocked on Marilyn’s bedroom door at midnight and after receiving no answer called the doctor who broke in through the window after seeing Marilyn’s lifeless body. However, Eunice Murray changed her version of events and then said that she actually went to bed at midnight and called Dr Greenson at 3am when she saw Marilyn’s bedroom light on was left on. She went on to change her story many times and according to police reports, Murray was vague and extremely evasive. Was she being puppeted by somebody? So how did Marilyn die? Official records tell us that Marilyn Monroe’s death was “acute barbiturate poisoning.” There was no further evidence of this though and it seems Marilyn wasn’t given a post-mortem, or if she was then it wasn’t recorded. Basic standard procedures were not followed for some reason, records were not kept of her post-mortem – astonishing when you think how high profile a case this was. And then her organs were “thrown away”. There has always been rumours that the FBI were at Marilyn’s house the day before she died. 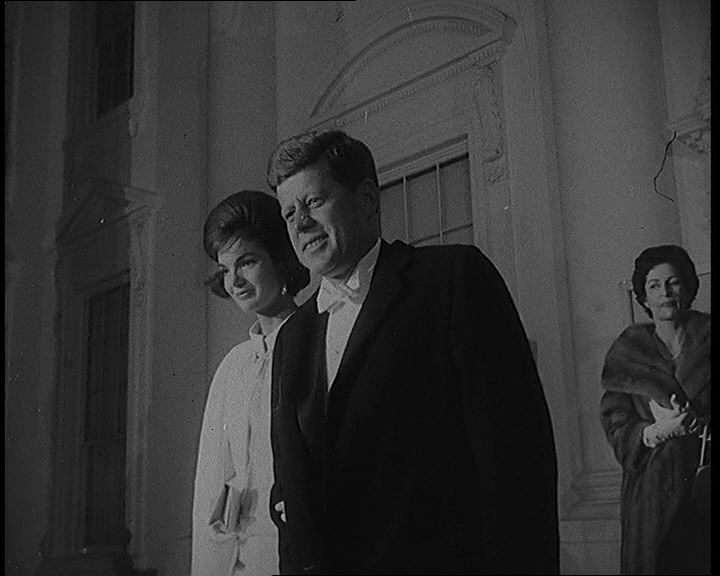 It was the time of the Cuban missile crisis, the political atmostphere was intense. The FBI were convinced that Marilyn was mixing with known communists and so they opened a file on her as a possible subversive. Could this have been a factor in her death? 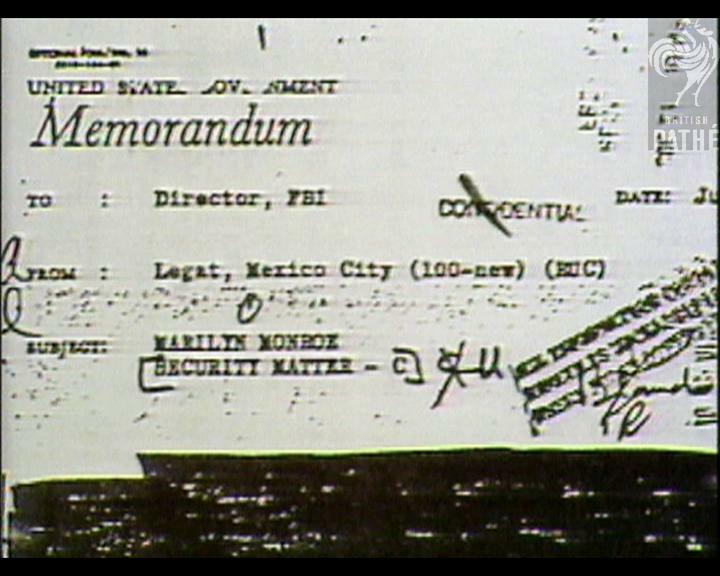 The memorandum showing the FBI had opened a file on Marilyn. At 4.30 a.m on the 5th August, two doctors indicate that the time of death was 12:30 a.m.
At 6am both doctors change their stories and now claim Monroe died around 3:50 a.m, so even later on into the evening. What is baffling though is that Monroe’s lawyer, Mickey Rudin called Monroe’s agent Arthur Jacobs at 10.30pm to tell him that Marilyn had overdosed. Rudin then called actor Peter Lawford at 1am to tell him that Marilyn was dead. So how could time of death be 3.50am? Many camps have quashed the theory that Marilyn took her own life. 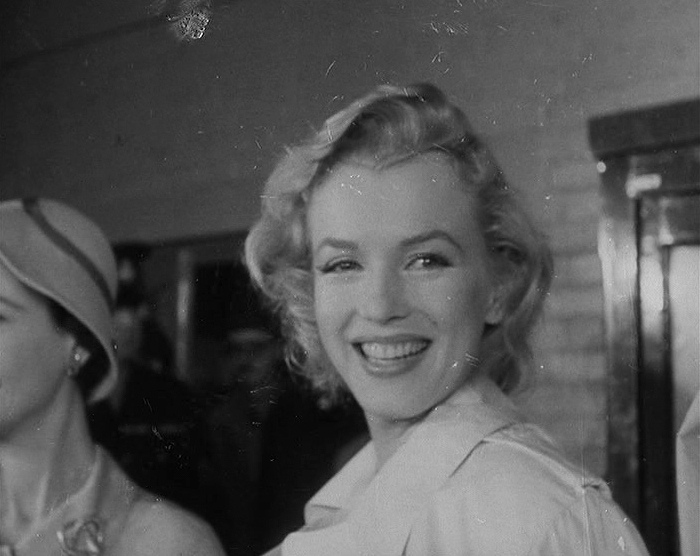 Her psychiatrist had recorded many interviews with her and when the interviews were analysed it showed Marilyn to be positive and fairly optimistic. These tapes subsequently disappeared. Marilyn was also looking forward to getting back to filming and she felt that her therapy was working. What’s more – Marilyn bought an expensive piece of furniture the day before she died. Apparently this is not the action of someone who is thinking of taking their own life. Or was it an accident? So if Marilyn wasn’t murded and if she didn’t commit suicide, then the most likely possibility is that Marilyn accidentally overdosed on drugs. An accident could quite easily have been what happened. Yet even this explanation isn’t without its problems. Marilyn, prone to pill-popping, had a good idea of how much was too much, and if in doubt she had plenty of expert medical advice around her. Marilyn Monroe was an intelligent lady and it seems unlikely that she’d fill herself with pills by mistake. And then there is the case of the missing glass. When Police searched Marilyn’s bedroom, they noted that there were a number of pill bottles in the bedroom but there was no glass and no water in the bedroom to wash down the pills. Marilyn apparently was known to struggle with washing down pills and needed big gulps of water, so it was strange that there was no drinking vessel in the bedroom. Mysteriously a glass was later found on the floor by her bed but police swear that it wasn’t there when they first searched the room. Did US Attorney General, Robert Kennedy visit Marilyn on the night she died? Her housekeeper seemed to think so. There had been a violent argument in the house that night apparently which Marilyn’s doctor had to calm down. But there was someone else there too. 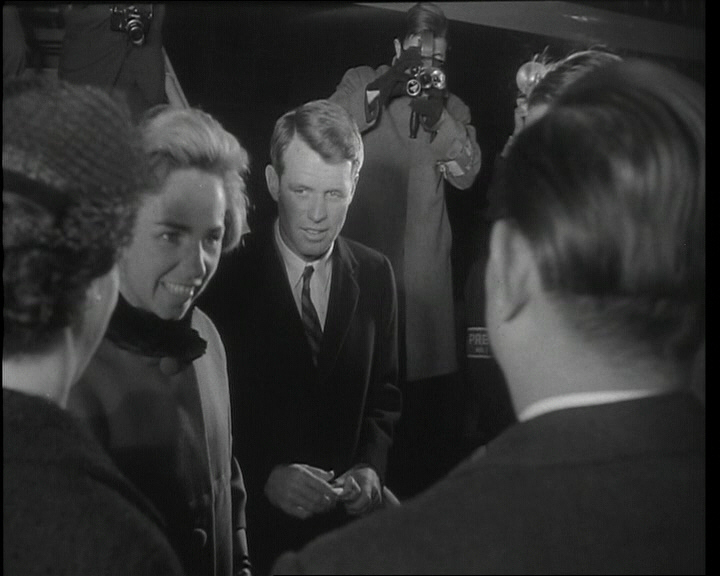 In a recent interview, the housekeeper’s son-in-law, Norman Jeffries, said that he was there that fateful night and he said that Robert Kennedy turned up with two men at 10pm on the night that Marilyn died. He and his mother-in-law were ushered out of the house and when they returned they found Marilyn’s comotosed body in the guest cottage. Jeffries claims that it was the Los Angeles Police Department intelligence division that turned up and moved Marilyn’s body to the main house to create the “suicide in the locked bedroom” scenario. Or was it a tragic medical accident? 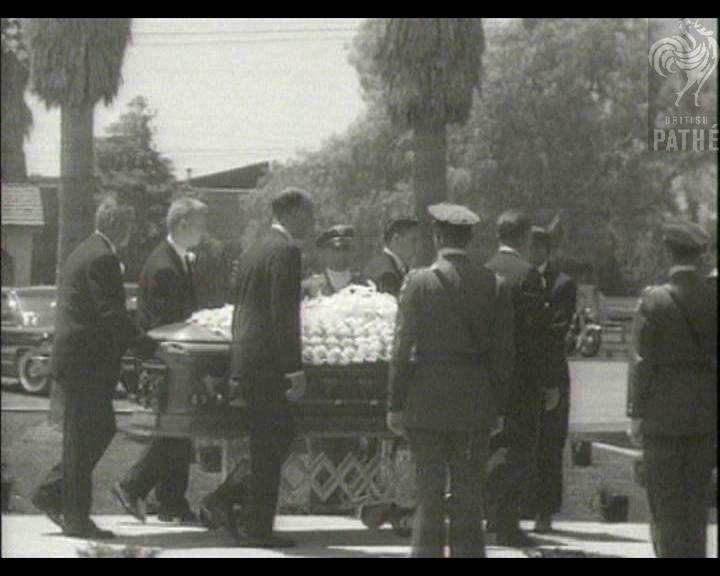 Rachael Bell wrote for Court TV’s Crime library that a sedative enema might have been the cause of Marilyn’s death. Marilyn’s pyschiatrist, Dr. Greenson had been working with Dr. Hyman Engelberg to wean Marilyn off Nembutal, substituting instead chloral hydrate to help her sleep. Did the two doctors screw up and cover their tracks? Does todays technology give us a chance at the truth. What a story that would make, Never mind jack the Ripper…………Jack the KENNEDY more like? The key to Marilyn’s murder lies in that star shaped purplish discoloration on the top of her colon observed during her autopsy. It proves she was murdered and she neither committed suicide nor over dozed on drugs. Consult any medical expert and he will confirm this. Refer any authentic and reliable bio and find the truth that Marilyn substantially controlled her consumption of drugs during the last month of her life. Marilyn was murdered is very apparent. Robert Kennedy was very much in Marilyn’s residence just few minutes/seconds before her murder took place. Marilyn was murdered immediately RFK left her residence and MM’s housekeeper and her son-in-law returned from the neighborhood (approx 10 minutes walk). Kennedy did not murder her, The sting job of killing Marilyn was carried out by mafia based on contract for a hit by the fascist forces. She was murdered by the poisonous suppository. Refer Wikipedia for the similarity of circumstances and method of killing both Marilyn Monroe and Dorothy Kilgallen and get the clue. Both the murders were orchestrated by CIA fascist group and the surviving victims of the Bay of Pig fiasco. Mariyn was killed because she came to know the details of the bizzare JFK murder plan and other very sensitive and secret details of dealings/relationships. is what every good Doctor should do sleep with their patients. These people and their Sigmund Freud were very amoral people. She was a victim of their greed and amorality! I can’t imagine Marilyn sleeping with any of those Doctors??? the autopsy tests have established that she had taken at least 50 tablets enough to kill three people in a short space of time, leaving empty bottles on the stand this for me signals an OD? Just as Princess Diana met her fate, the same as it was for MM. Knows too much, is proving difficult and is in the way.. Exactly i don’t buy any of these theories all you need to read is the 1962 official autopsy report? Marilyn Monroe did not kill herself. At least one doctor screwed up and tried to cover things up. That left the door open for all kinds of conspiracy theories. It’s a shame that the people Marilyn trusted, wound up killing her. The only way to know the truth and to give Marilyn the justice she deserves is to reopen the case. Reopen the case, find the jury, interrogate the witnesses still alive, collect the evidence, knock-down all the doors even if this means to “disturb” the reputation of some people at the top of politics. Re-exume her body. The forensic science has done a lot of progress since 1962. Her death wasn’t a mystery. It was a criminal cover-up. At the end of Robert F. Slatzer book “The Marilyn Files” , there’s a page. Read it, make a copy, fill it, sign it and send it to the Hon.Michael D. Antonovich, LA County Board of Supervisors. The address is on page 314 of the book. It’s a petition and Supervisor Antonovich has long supported the public in their quest for a new investigation of Marilyn’s death. After reading the book, I felt it was my duty to do something, something for Marilyn, for not letting the world forget her. Previous Previous post: BRAND NEW OLYMPICS ARCHIVE! 300 UNSEEN REELS!